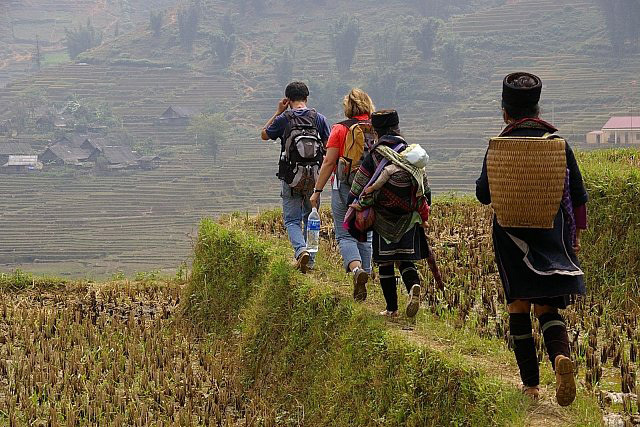 Trekking through beautiful terrace rice fields, landscapes; Meeting smiling and warm-hearted Black Hmong and Red Dao people; Talking with them to understand a bit more about their way of life, their customs and traditions. 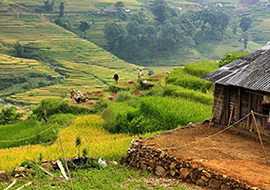 Pick up at your hotel in Hanoi, transfer to the station for a night train to Lao Cai – Sapa. Pick up at station in the early morning, transfer to hotel in Sapa, having breakfast then meet local guide and trek downhill to Mong Sen, where you start trekking uphill through mountainous area. 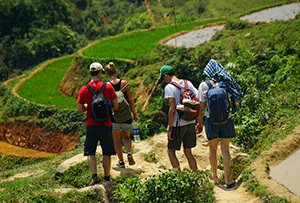 Enjoy while walking the spectacular view over rice paddy terraces, corn fields. Your picnic lunch will be provided on the spot. 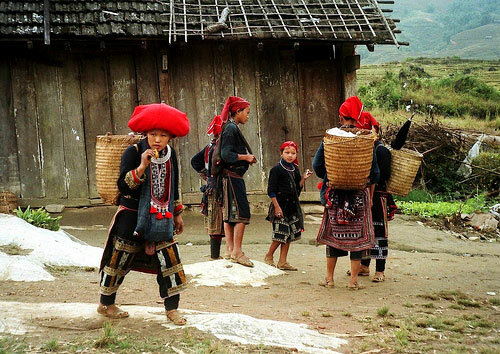 After lunch, we continue our trek downhill towards Taphin village where you will meet Red Dzao and Black Hmong minorities, two largest ethnic groups in Sapa area. 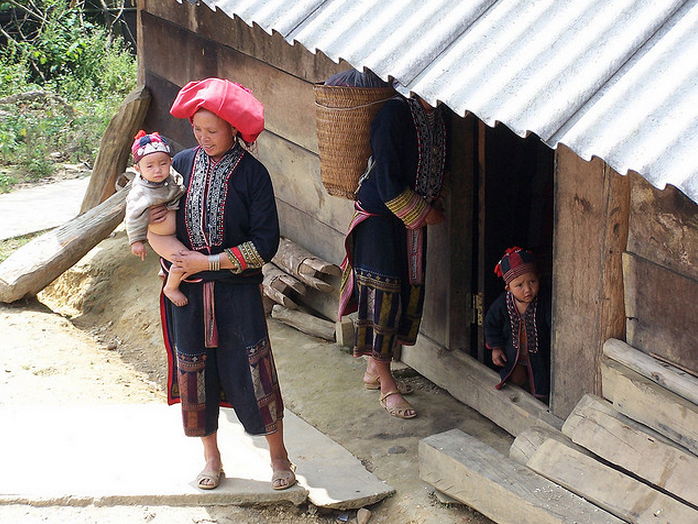 Stop by a house to talk with local people to know a bit more about their daily life, their customs and tradition. Have dinner and overnight in the village. Approx: 1-hour driving/ 4 hours walking/ 1-hour lunch. After breakfast, we start our trek towards Sapa. We will pass through several minority villages; rive paddy terraces along the way. 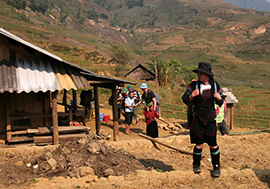 Upon arriving in Matra village inhabited by Black Hmong people, we will stop for our lunch. 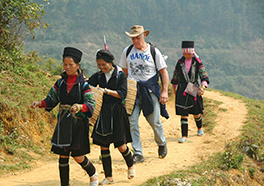 Then, we continue walking to Sapa. Evening transfer to Lao Cai station for a night train to Hanoi. Approx: 4 hours walking/ 1-hour lunch. Having said that, it's still a pleasant and enjoyable trip for us. Thank you very much!!! We really appreciate your effort. I'll recommend this agency to my friends, in fact, I've already done! We would like to know to which other countries you could organice us trips. Maybe, next year we can visit other one. Thanks again for the service. I hope I can require your service in future.